Finding jewelry that is affordable, genuine and contains diamonds that are mined in ethical circumstances can be a difficult task. Some of the world’s most precious jewelry are also some of the most expensive, as well as containing natural materials that were dug up by workers who work in unfavorable conditions in the diamond mines, especially mines that are located in war zones and may be owned by brutal warlords who are making profit off of the diamonds. 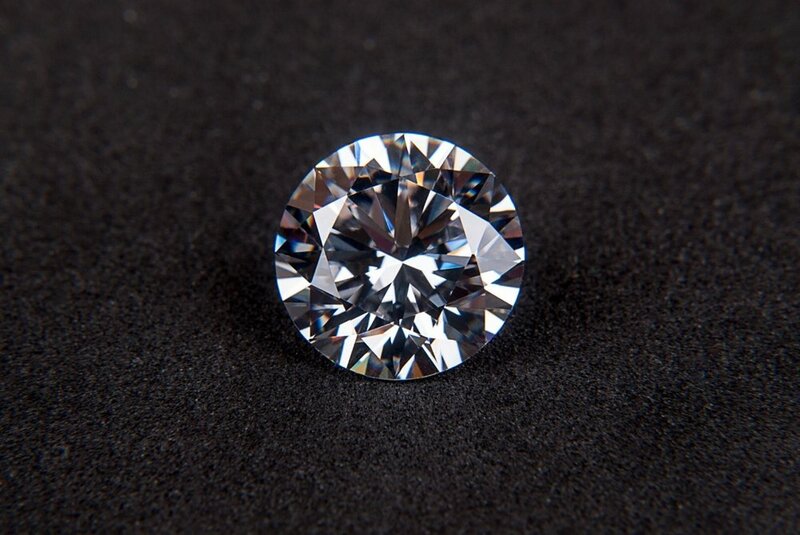 One startup in the jewelry industry called AUrate is taking a stance in developing affordable jewelry that also has a guarantee that the diamonds were produced in ethical conditions and that the materials that are used to make the diamonds are sustainable. AUrate is devoted to making sure that the diamonds used for its jewelry was mined in conditions that go in favor of human rights, environmental protection, and social responsibility. At the time they founded AUrate in 2014, Ezzahraoui was an interest rate volatility trader at Goldman Sachs and Kahn was working at Marc Jacobs after a stint working at The Boston Consulting Group when both women decided that they were going to take design classes at New York’s Parsons School of Design as they began setting up the company. Ezzahraoui and Kahn, best friends since they met each other in 2009 at Princeton University while they were both pursuing a masters degree in finance, gave crucial advice to aspiring entrepreneurs who want to launch their own company by telling them to “just do it” as long as they know the market’s product need, the target demographic, the business strategy they should go for, and letting their bosses know about the project they’re working on. In June 2017, AUrate raised $2.6 million in a seed funding round with the main investors being Arab Angel, a strategic investment firm that seeks to provide brilliant entrepreneurs access to the Western Asian, Arabian Gulf, and larger Middle Eastern and North African markets, and Victress Capital, a forum of female business leaders who want to invest in and support women-led businesses with high-growth potential. Ezzahraoui and Kahn revealed that the reason they were able to raise $2.6 million in seed capital was that one of the earliest choices they made when they created AUrate was knowing how to “create a product and establish proof of concept before asking for funds” which can lead to the business being able to raise money much sooner. In an interview with Marie Claire, the world-renowned health and beauty magazine, Sophie Kahn said that the jewelry designed and manufactured by AUrate is geared towards women who go through different phases of their day but still want to wear authentic jewelry that will continue to allow them to look great for the rest of the day. Kahn understands that a woman’s life has multiple moments in life, especially in the same day, and that a woman should have jewelry that is not only affordable but also will allow them to be their true selves through the jewelry they have on themselves. One of Aerate’s collaborating partners is Mastery Charter Schools, a charter school network that boasts 24 schools in Philadelphia and Camden, New Jersey and has a total number of 14,000 students enrolled. According to the information on AUrate’s website about its partnership with Mastery Charter Schools, one in four American children grows up without being to able to read adequately and the main goal for the AUrate-Mastery Charter partnership is that for every piece of jewelry that a consumer purchased, AUrate will donate a book to a child in need, which can accelerate the child’s literary prowess. The partnership with Mastery Charter Schools came from the awareness that Kahn and Ezzahraoui had about the success that the charter school network has in regards to student performance in its many schools, especially with the reduced number of students dropping out of school and the number of graduating students had tripled. The cofounders of AUrate want the world, particularly their consumers, to see that the jewelry the startup designed and manufactured can make a difference to the lives of children in underprivileged communities and guiding them towards a future filled with academic success as they will get a lot of great books to read. AUrate is continuing to be true to its name in providing the consumers the best reasonably-priced and ethically-sourced jewelry as it has successfully passed the ‘Kimberley Process’ certification process, which states that jewelry brands like AUrate are selling jewelry pieces that do not have diamonds that were grown in conflict zones. Just recently, AUrate launched a direct-to-consumer service for customers called ‘Curate By AUrate’ which allows customers the opportunity to work with a stylist and try 5 pieces from the jewelry collection inside their own home before making a final purchase. This startup is continuing to make a difference to the jewelry industry as it strives to ensure that the jewelry is created and sold to the consumers are authentic and will contribute to great causes such as enhancing youth literacy and spreading awareness about dangerous working conditions that miners have in the diamond mines that contain some of the world’s most expensive diamonds. Most consumers would like to purchase jewelry pieces that are not only affordable but also do not have diamonds that have a history of being grown in conflict zones that have led to the death of innocent civilians.